Current projects are listed on the What's New page. There are no current reports available at this time. 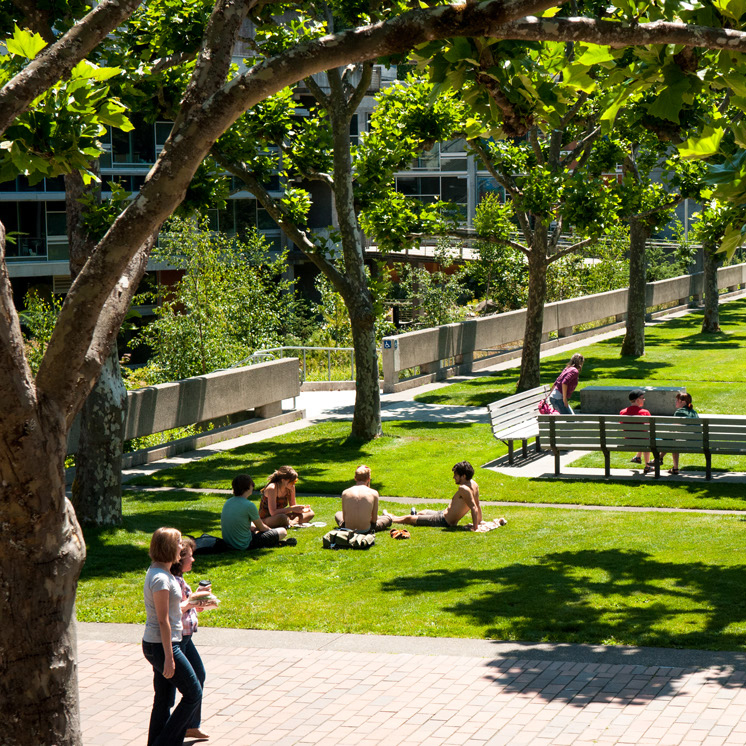 THE EVERGREEN STATE COLLEGE is inviting Civil Engineering Consultants to submit a proposal, including a statement of qualifications, in accordance with the information set forth herein. Provide a full range of site planning, land surveying and civil engineering services including master plan layout, parking assessments, transportation studies, Thurston County land use ordinances, zero-impact development, environmental impact issue studies, and various aspects of civil engineering required on projects. The college will select two consultants who will be separately responsible for providing services on designated minor capital improvements and small repair projects. Consultant fees on any single project may range from $500 to $75,000. Total fees for the biennium may not exceed $150,000. On-call consultant fees and services shall be negotiated based upon the current Architectural/Engineering fee schedule for Washington State Public Works Building Projects and the standard Division of Engineering and Architectural Services Agreement. This selection is for the period July 1, 2019 – June 30, 2021. Consultants will be considered for selection based upon the following criteria categories, weighted as indicated: Qualifications of Personnel (100%), Relevant Experience of the firm within Thurston County (100%), Previous Performance of the firm (100%), Capability to Perform On-Call (100%). Quality Control Plan Management (100%). Contains voluntary MWBE Goals of 10% MBE and 8% WBE. Interested firms shall submit six sets, including a cover letter, to William Ward, MBA, Associate Vice President for Facilities Services The Evergreen State College, 2700 Evergreen Parkway, Olympia, Washington, 98505. Submittals shall include a cover letter, no more than ten (10) single-sided pages responding to the description of services and the criteria categories, up to three (3) letters of recommendation, Federal 330 forms. Faxed copies will not be accepted. This is not a request for proposal. Following the evaluation of the submittals, the selection committee will be selecting the two firms most highly qualified for the services required. Direct questions to William Ward, 360-867-6115, 360-867-6695 (TTY). AA/ADA/EOE. THE EVERGREEN STATE COLLEGE is inviting Structural Engineering Consultants to submit a proposal, including a statement of qualifications, in accordance with the information set forth herein. Provide a full range of structural engineering services including design, estimating, construction/bid documents, plan review and permitting, bidding, construction administration, building analysis, structural loading bearing calculations reports and will provide on site building assessment within 2 hours or daylight (if the earthquake occurs during the night) following an earthquake. The college will select two consultants who will be separately responsible for providing services on designated minor capital improvements and small repair projects. Consultant fees on any single project may range from $500 to $75,000. Total fees for the biennium may not exceed $150,000. On-call consultant fees and services shall be negotiated based upon the current Architectural/Engineering fee schedule for Washington State Public Works Building Projects and the standard Division of Engineering and Architectural Services Agreement. This selection is for the period July 1, 2019 – June 30, 2021. Interested firms shall submit six sets, including a cover letter, to William Ward, MBA, Associate Vice President of Facilities Services, The Evergreen State College, 2700 Evergreen Parkway, Olympia, Washington, 98505. Submittals shall include a cover letter, no more than ten (10) single-sided pages responding to the description of services and the criteria categories, up to three (3) letters of recommendation, Federal 330 forms. Faxed copies will not be accepted. This is not a request for proposal. Following the evaluation of the submittals, the selection committee will be selecting the two firms most highly qualified for the services required. Direct questions to William Ward, 360-867-6115, 360-867-6695 (TTY). AA/ADA/EOE. THE EVERGREEN STATE COLLEGE is inviting Electrical Engineering Consultants to submit a proposal, including a statement of qualifications, in accordance with the information set forth herein. Provide a full range of electrical engineering services including design, estimating, development of construction documents, L & I plan review and permitting, bidding services, construction administration, load calculations, building system assessments, communications and security systems, written recommendation reports and feasibility studies. The college will select two engineering consultants who will be separately responsible for providing services on designated minor capital and also small repairs and improvements projects. Consultant fees on any single project may range from $500 to $50,000. Total fees for the biennium period may not exceed $150,000. On-call consultant fees and services shall be negotiated based upon the current Architectural/Engineering fee schedule for Washington State Public Works Building Projects and the standard Division of Engineering and Architectural Services Agreement. This selection is for the period beginning July 1, 2019 – June 30, 2021. Consultants will be considered for selection based upon the following criteria categories, weighted as indicated: Qualifications of the Personnel (100%), Relevant Experience of the firm (100%), Demonstrated Previous Performance of the firm (100%), Capability to Perform On-Call (100%), Quality Control and Quality Assurance Management (100%). Contains voluntary MWBE Goals of 10% MBE and 8% WBE. Interested firms shall submit six sets to William Ward, MBA, Associate Vice President for Facilities Services, The Evergreen State College, 2700 Evergreen Parkway, Olympia, Washington, 98505. Submittals shall include a cover letter, no more than ten (10) single-sided pages responding to the criteria categories, up to three (3) letters of recommendation, Federal 330 forms. Faxed copies will not be accepted. THE EVERGREEN STATE COLLEGE is inviting Mechanical Engineering Consultants to submit a proposal, including a statement of qualifications, in accordance with the information set forth herein. Provide a full range of mechanical engineering services including design, estimating, development of construction documents, Thurston County plan review and permitting, bidding services, construction administration, LCCA, energy use calculations, building systems assessments to include but not limited to fire safety design and building environmental improvements, written recommendation reports and feasibility studies. The college will select two engineering consultants who will be separately responsible for providing services on designated minor capital and also small repairs and improvements projects. Consultant fees on any single project may range from $500 to $50,000. Total fees for the biennium period may not exceed $150,000. On-call consultant fees and services shall be negotiated based upon the current Architectural/Engineering fee schedule for Washington State Public Works Building Projects and the standard Division of Engineering and Architectural Services Agreement. This selection is for a period beginning July 1, 2019 – June 30, 2021. Voluntary Pre-Submission Conference & Walk-through: October 13, 2016, 10:00 a.m. Projects currently bidding are posted on the Builder's Exchange website at www.bxwa.com. Instructions: From the site, select Posted Projects, then Public Works, then Agree to terms and conditions, and then select The Evergreen State College link. Note: In order to download the specs the Builder's Exchange plug-in is needed, instructions and installation links are found in the upper left hand corner of the main page on the Builder's Exchange website under the BXWA.com logo.